I got this silk shirt during the NET-A-PORTER end of season sale last spring and it’s always a conversation starter. 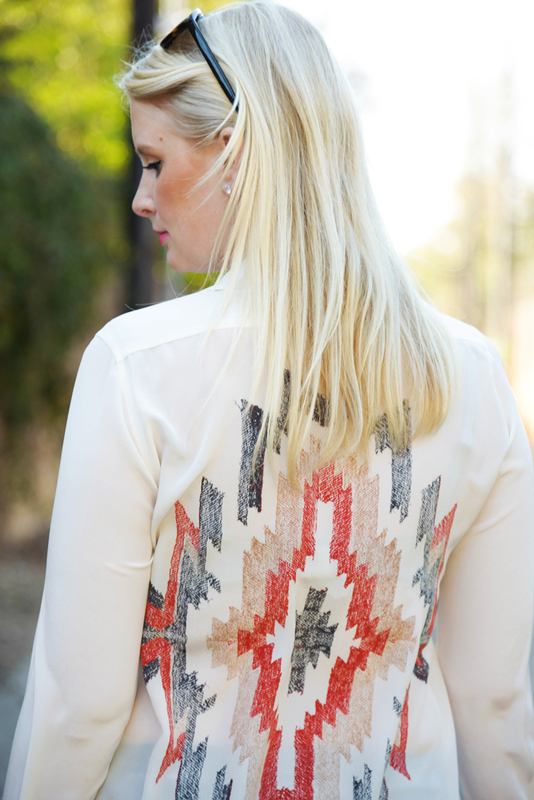 The cool tribal print on the front, back and cuffs is unique and adds a little drama to a basic button-down. It goes perfectly with my Joseph blazer and my tried and true Helmut Lang leather pants as a comfortable but stylish ensemble. What pieces in your wardrobes are the biggest talking points for you? Ooh, I love how the print is more subtle in the front and elaborate in the back – this is a gorgeous pairing with the bright blazer – LOVE! Love the top! 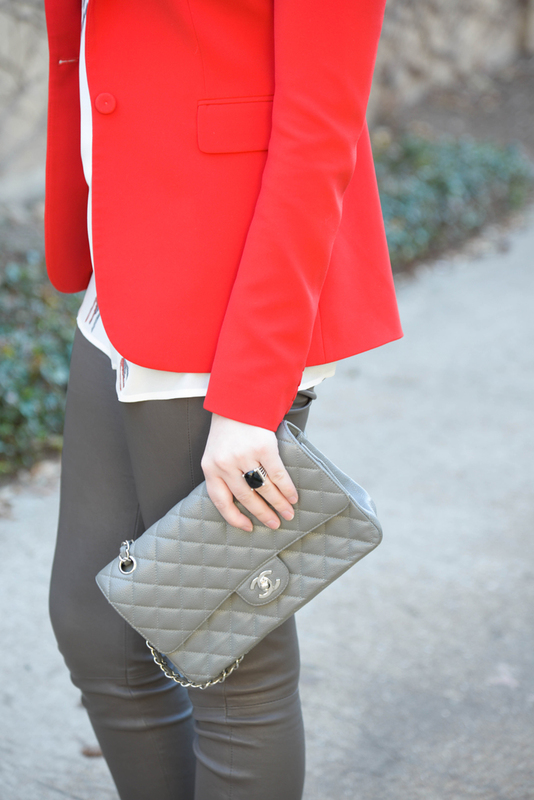 It sets the outfit off…very chic! Love the top. I’m a leopard print girl for sure, but tribal is definitely a fave print of mine as well. That Sandro shirt is so great! I love the color combos on the pattern. I also like the length on you – it hits right at your hip bone. You look SO good in red! It’s always so striking on you!